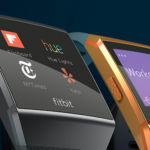 Modern smartwatches are getting more efficient and compact by the day. This inherent miniaturisation, however, presents a number of ergonomic issues. 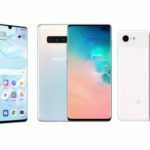 It’s difficult to use the touchscreen interface with any degree of accuracy and reliability, especially when your index finger tends to block much of the tiny screen and makes it difficult to see exactly what you’re hitting and the immediate area surrounding it. 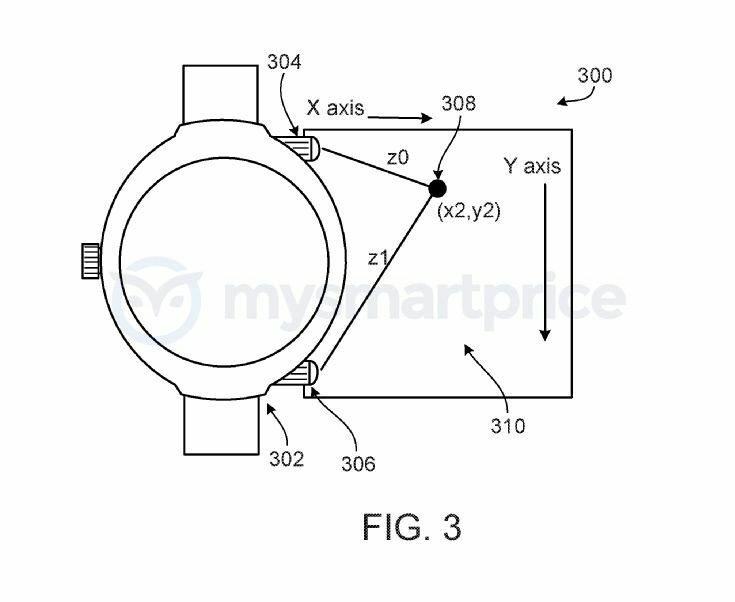 Google has found a way to get around this age-old smartwatch usability issue going by the latest patent grant. 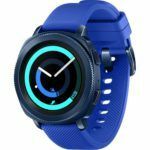 The solution involves the use of elaborate sensor array to detect gestures and track finger movement to radically improve smartwatch UI navigation. 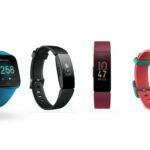 Titled as Gesture-Based Small Device Input, the document specifically mentions how Google’s patented technology will allow users to interact with the smartwatch without obscuring the rather small smartwatch displays. 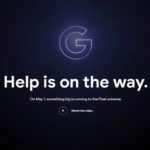 The basic idea is to leverage what Google terms sensor-emitter pairs to create a “virtual mouse pad” on — and this is where it gets interesting – the user’s wrist, forearm, or even the back of the hand. The patent basically illustrates a new input scheme that turns your finger into a stylus that can be used on the bare skin anywhere adjacent to the smartwatch. Although onlookers might wonder if you are suffering from an aggressive case of eczema, the jokes on them because you’re zooming through your smartwatch UI without any drama or even smudging the screen. Coming back to reality, the patent lists a number of means to achieve this input scheme. This includes employing varied sensor and emitter arrays that will work in conjunction to translate finger movement on your skin onto equivalent movement within the smartwatch UI. These sensor-emitter arrays include ultrasound based implementations to deliver time-of-flight data, most likely to detect the position of the finger relative to the smartwatch. Furthermore, the document also mentions photo-diodes and, more specifically, a low cost implementation of CCD or CMOS cameras alongside a light emitting diode. Not surprisingly, the ubiquitous optical mouse also employs the same low cost CCD/CMOS camera setup along with an LED to read movement data. The patented setup employs sensors in pairs to approximate the position of the finger relative to each sensor location, thereby providing better depth perception. Based on the drawings and the description, we surmise that the optical mouse-esque system should serve as the primary means of input, with the ultrasonic sensors providing additional data to improve accuracy during challenging lighting conditions. Interestingly, such a setup could be employed on both sides of the smartwatch to allow input on either sides and also to offer similar functionality for left and right-handed users alike. 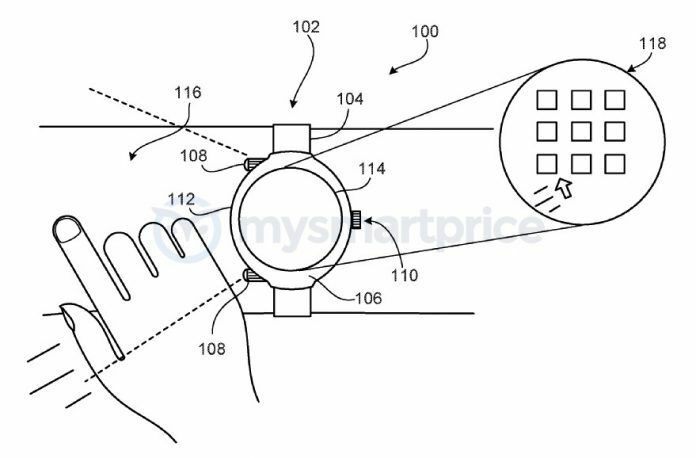 The patent also specifies how the act of clicking can be emulated through accelerometer input, which would most likely involve something ergonomically efficient as twisting or shaking the wrist. Yet another implementation mentioned in the document describes placing sensor emitter pairs vertically offset from one another to detect finger taps and translate them into on-screen clicks. The patent goes on to list other implementations where the concept is taken to the next logical level by superimposing an image of a QWERTY keyboard on the detection are (that is, the user’s skin). Combined with the aforementioned means of vertically offset sensors, you’re looking at the best possible means of text entry on a smartwatch. If this comes to fruition, we wouldn’t be surprised if the future Google smartwatch could be used to draft emails.